Climbing Snowdon: Expert tips and advice. Climb Snowdon information. Climbing Snowdon is a big deal. This could be your first mountain (hopefully first of many) so you want to get it right. Most importantly you want to stay safe…and enjoy the experience. However, with so much advice, blogs, tips, books and many many other resources it can be frustrating knowing where to start. In this blog post, we reveal the top ‘climbing Snowdon’ essentials that every hillwalker should know. These 25 hints and tips will help you understand what you need to do and how to prepare, so you are ready, you stay safe and have an unbelievable experience climbing Snowdon. We will also cover some of the many questions people ask. #1 – Dress appropriately and prepare for the worst. Snowdon has a reputation for attracting underprepared walkers. There have been stories of people climbing Snowdon in flip-flops. We have seen some bizarre sights on Snowdon. Just remember this is a mountain, and a pretty tough one, which you need to be fully prepared for. There are over 200 Mountain Rescue callouts each year on Snowdon alone. A vast majority is due to walkers being underprepared and being caught out in bad weather. You MUST be fully dressed, equipped and prepared for a full day mountain walking. The weather on Snowdon can rapidly change, so even on a sunny day pack for the worst and hope for the best. We have been on the summit in June with temperatures as low as minus 2. #2 – Know your route. There are six ‘classic’ walking routes on Snowdon. If you then include the ridges, scrambles and less walked routes then you will be going in to double figures. Make sure you choose the right Snowdon route for you. The routes are ranked in order of difficulty with the Llanberis Path being the easiest. Have a read of our blog post on the main Snowdon routes for more detailed information. Choose a route that will suit yourself and your group. 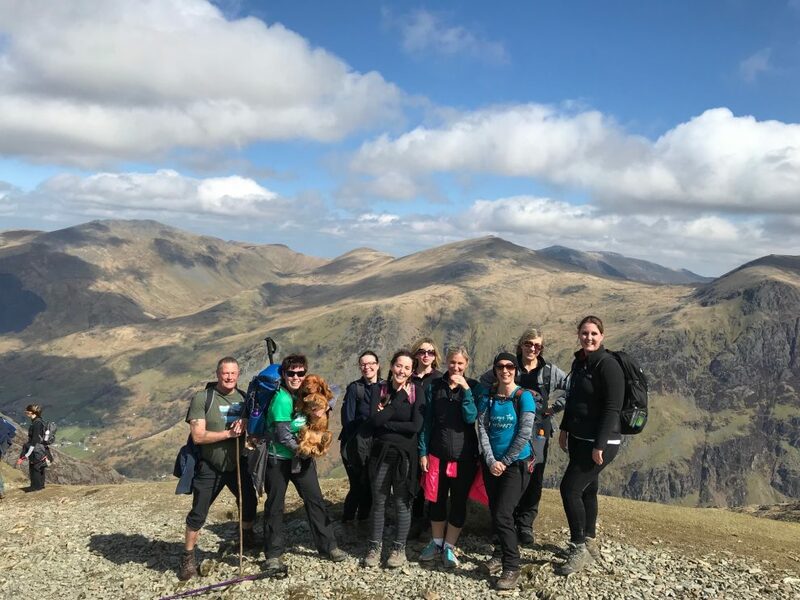 Climbing Snowdon should be a fun and memorable experience so make sure you choose a route that is going to challenge you but that also is right for your ability. You will burn through around 2,000 calories climbing Snowdon. Pack enough food to replenish your energy throughout the day. However, don’t take too much. You will have to carry it up and back down. There is a café on the summit, but it may be closed. The café is only open if the train is running to the summit. The train won’t run if the weather is bad so always expect the café to be closed…and see it as a bonus if it is open. Let somebody know what you are doing, which route you are taking, what time you are leaving, what time you expect to be down and who you are going with. Let them know when you are down (and make sure you do). #5 – Physically and mentally prepared. Are you up for the challenge of climbing Snowdon? Have you trained? Are you mentally prepared for a day on the mountain? Snowdon is the highest mountain in Wales and higher than any peak in England. If this is the first time you have climbed a mountain then you are going to find it tough. If your fitness isn’t great then it’s going to be a challenge. Training to climb Snowdon is important. Get out walking as much as you can in advance of your walk. Climb some easier, smaller hills and prepare your body for a full day hillwalking. Climbing Snowdon isn’t easy, lots of people underestimate the challenge and turn back, so make sure you are ready. #6 – Check the weather, then check it again (properly). Check the weather a few days before your walk and then again, the afternoon or night before. The weather can rapidly change and develop, for the better and often for the worst. If you have any doubts about the conditions then seek advice from someone who is experience or come back another day. Use a proper mountain weather forecast such as MWIS (Mountain Weather Information Service) or the MetOffice. Wind speed. Anything in the highs 30s is going to make the walk arduous. If wind speeds are in the 40s then the walk will be very challenging. 50s and you are likely to be blown over. Rain. It’s never nice going up in the wet but if you have good waterproofs then depending on how heavy it is you should be ok. If the rain is torrential then we would advise coming back another day. The rain will make the paths and rocky sections slippery. Snow and ice. Unless you are an experienced walker with full winter equipment and clothing then climbing Snowdon is not advisable. The snow can linger in to April and starts to appear in late October. Temperature. The temperature will be around 10 degrees lower than at your starting point. If you factor in the wind chill then it can be significantly lower. We have often put on sun cream in the car park and then wooly hats and glove son the summit. It will get much colder the higher you go. Thunder and lighting. Rather you than me! Climbing Snowdon in a storm is not a good idea. #7 – Which Snowdon path is the easiest? The Llanberis Path is the easiest Snowdon route. However, the Llanberis Path is also the longest. The path has the least amount of steep ascent and the route is very easy to follow. This makes it a great choice for first-timers. #8 – How long does it take to walk up and down Snowdon? The typical average time is around 7 hours to walk up and down Snowdon. This depends on the route, your fitness and the conditions. With a good level of fitness then we would suggest allowing a total of 7 hours. #9 – What is the hardest route up Snowdon? The Watkin Path is the hardest route up Snowdon of the main walking routes. If you include the ridges and scrambles then Crib Goch would be the toughest and most challenging route. Crib Goch is a knife-edge ridge requiring nervous of steel and a good head for heights. #10 – What is the easiest route up Snowdon with a dog? The Llanberis Path is the easiest route if you are taking your dog. Please respect other walkers and make sure you pick up your dog poo. There is also livestock on many of the routes so keep your god on a lead at all times. #11 – What is the quickest route up Snowdon? The quickest route up Snowdon will obviously depend on your fitness and experience. The shortest route is the Pyg Track/Miners Track and you gain an advantage of starting at over 300m which reduces the amount of ascent. The last section (the zigzags) is pretty tough though. With a good level of fitness and experience, and in good weather, you could complete the Pyg Track in 4 hours (up and down). #12 – How high is Snowdon? Snowdon is 1.085m or 3,560ft in height. Snowdon is the highest mountain in Wales and higher than any peak in England. Snowdon is the 19thhighest mountain in the British Isles. #13 – Is it Snowdon or Mount Snowdon? It’s actually Yr Wyddfa which is the proper Welsh name. It’s never Mount Snowdon and certainly never Mount Snowdonia. #14 – Is the café open and can I get the train down? The café is not open all the time. And if it is closed then the toilets will also be close as well as the train. The café is only open when the train is running, which is most the time between April and October, but in strong winds, torrential rain and snow, the train will not necessarily run. Also, you can’t just buy a ticket from the summit for a ride back down to Llanberis. There are a limited number of trains and if all the spaces are fully booked then you won’t be able to get a lift down. This is a very common issue where people walk up and expect a ride down…and they are very disappointed. If you walk up you will be walking down. #15 – When is the best time to climb Snowdon? April to October are the best months to climb Snowdon. The snow can linger until late April (sometimes May) so keep an eye on the conditions. May to September are the busy months. The weather starts to turn in October and there is less light. As a business, we don’t run Snowdon guided walks in October as the weather it too unpredictable. Climbing Snowdon is a wonderful experience. 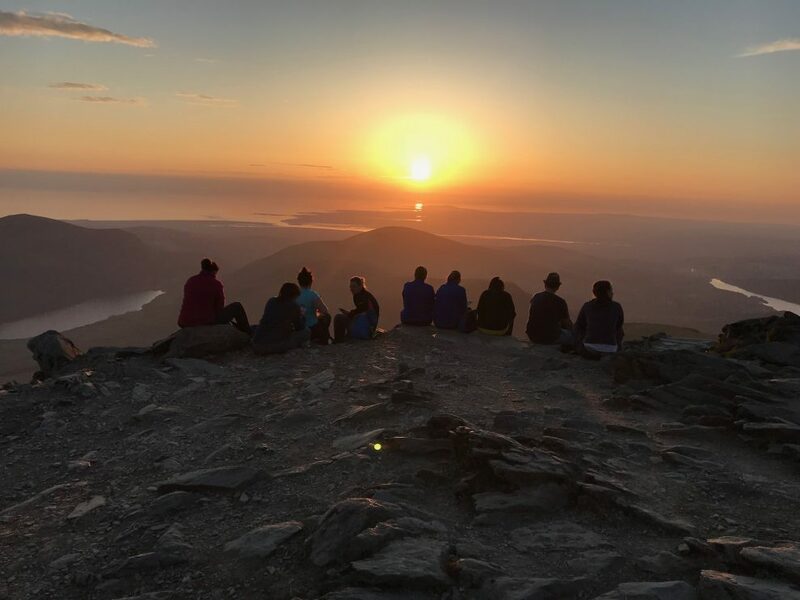 The right planning and preparation will not only increase your chances of getting to the summit but it will ensure you have a safe, fun and memorable experience on Snowdon. Follow these essential tips, stay safe and enjoy your time on Snowdon.